JEGS Billet Y-Blocks are precision machined to perfection for high-flow and feature a blue or black anodized finish. The single inlet to dual outlet blocks are available in either 3/8" NPT or 1/2" NPT configurations. These blocks are capable of flowing more than enough fuel to feed two separate carbs, fuel rails or to supply that single carb dual feed setup. 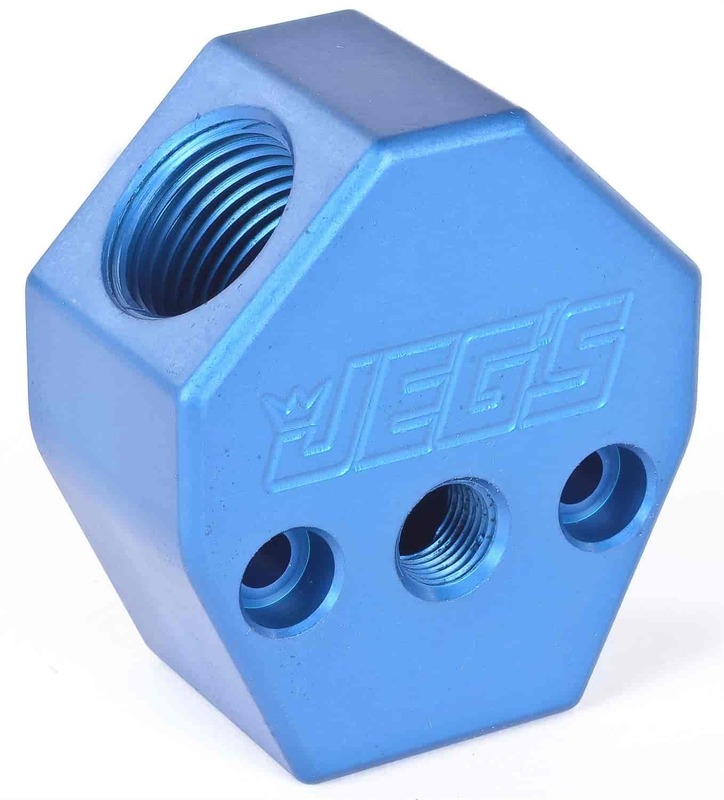 The JEGS Y-Blocks feature a 1/8" NPT fuel pressure tap, two stainless bolts and nylon lock nuts for mounting to a panel or fabricate your own bracket to display this functional show piece. The engraved "JEGS" logo adds that finishing touch to this great product!